i'm a little ashamed at how much money we spent on the photo booth at the fair this summer. to give you an idea, the carny man working the tent gave matt a genuine thank you. and maybe shook his hand, but i could be making that part up. our friend beth went in the booth, just her and her foil-wrapped sandwich...and matt sprung dirty poses on me in one and ended up looking like the subway ghost from "ghost" at the end. i'll spare you that one. 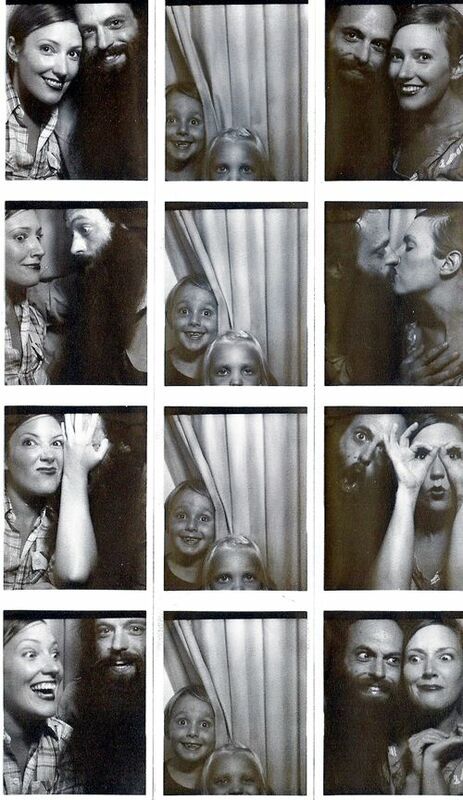 and i have no words for max and his lady friend dahlia's photo booth pictures. have a happy labor day, loves! i'm wearing all white. all weekend. I love photo booth photos! I say you can never have too many. it's true! that and we couldn't seem to get the timing right and needed redos. haha. You guys are the best kind of wonderful.